IN THE JARGON of the trade, political spin doctors speak of putting out the trash – releasing bad news at a time and in a manner designed to minimise the damaging impact. In the two weeks leading up to the release of the Henry review of taxation, the Rudd government had the equivalent of a council pick-up. In quick succession, it abandoned its commitment to introduce a charter of rights, scaled back to thirty-eight the 260 childcare centres it had promised to build in school grounds, and reversed its promise to reintroduce a new home insulation scheme. Each is a major backdown and each is a broken election promise. Now, in effect, the government has promised not to introduce an emissions trading scheme until 2013 at the earliest. And part of its justification includes embracing the opposition’s rhetoric about making Australian action dependent on international action. It is hard to recall a more dramatic reversal. How did it come to this? How did we move from a situation in which there was strong public support for action against climate change, a government seemingly determined to move in that direction, and both the Greens and the Coalition agreeing that such movement was necessary? One large part of the explanation is that despite bursts of strenuous activity on the issue, for much of last year Rudd was luxuriating in playing wedge politics against Turnbull. 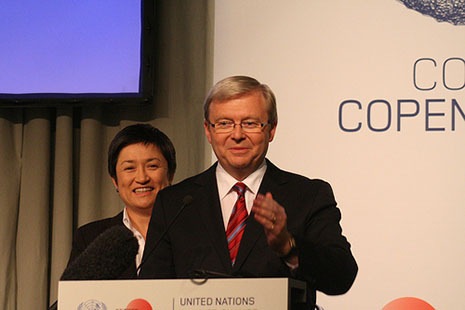 Rather than making the case domestically, Rudd and his advisers were enjoying Turnbull’s difficulties with the climate change deniers within the Coalition – trumpeting what a test of his leadership it was, how the onus was on him to deliver, seeking to embarrass him for electoral reasons rather than assist him to achieve a policy outcome. Even when the Liberals changed leader, Rudd didn’t realise how the game had changed. He must have rejoiced not only at what many commentators saw as the electorally unpalatable choice of Tony Abbott as leader, but also at the fact that the opposition was almost evenly divided and had irreconcilable differences on this key issue, which meant that Turnbull would continue as a public thorn in his successor’s side. None of this came to pass. Whatever their inner qualms, nearly all the Liberals have meekly fallen into line – outwardly, at least – behind their new leader. Abbott’s simple line, that the scheme was “a great big new tax on everything,” was far better suited to the demands of ten-second TV and radio grabs than was the government’s effort to explain the complexities of emissions trading. The polls, while still showing majority support for the government’s position, also showed the momentum shifting towards climate change deniers and those reluctant to bear any short-term costs to achieve a long-term goal. And in large sections of the media – despite the deniers’ allegation that the media are biased against them – it became increasingly difficult for the science of global warming to get clear air. Politics is the art of the possible, and by this stage there was no prospect of achieving an emissions trading scheme in the life of this parliament. Given the Senate numbers, the only way of securing a majority is a combination of Labor and Coalition votes or Labor plus Greens plus Nick Xenophon plus Steve Fielding. But Labor’s response to this short-term impossibility has gone beyond this recognition. 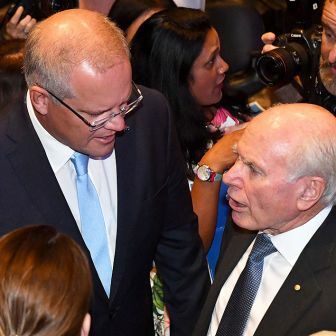 Its alternative strategy, which it has now abandoned, was to take its current legislation to the public as part of a double dissolution at an electorally appropriate moment. It has now sought to eliminate the issue altogether from the campaign agenda. IT SEEMS clear that the thinking behind the government’s recent actions has been to dispose of messy issues now rather than closer to the election, to forestall what it sees as the most likely lines of attack from the opposition during the campaign. As well as its recent policy reverses, the government has sought to make it more difficult for the Coalition to capitalise on xenophobia by delaying processing the claims of asylum seekers from Sri Lanka and Afghanistan and moving against foreigners buying Australian housing. For the government, the central cleavage in winning a second term is the Labor versus Coalition contest. Its strategists have calculated that thanks to compulsory voting it doesn’t need to fear alienating its core supporters; in this contest they have nowhere else to go. They have also calculated that even if some voters defect to the Greens their second preferences will still come back to Labor. In sum, they are now clearing the decks of the issues they see as having the potential to damage their prospects in that central contest. Electoral strategy is about choosing what battlegrounds to fight on. If you can set the election campaign agenda, you are a long way towards achieving victory. The government’s essential calculation is that the electoral damage of its reversals will be short-lived, quickly eclipsed by the Henry Report on taxation and the budget, and completely buried as more positive issues are rolled out in the run-up to the election. There would be a short burst of negative publicity but no lasting impact. Even this week’s Newspoll, showing the Coalition ahead on a two-party-preferred basis for the first time since August 2006 – widely interpreted as disastrous news for Labor – would not necessarily conflict with this strategy. Although the drop is probably greater than they would have liked, it is likely that Labor’s strategists see it as confirming that their strategy is on track. Much of the vote went to other parties rather than to the Coalition, suggesting that while more people have become disenchanted with Labor they are not attracted to the Coalition. Putting all moral questions to one side, the strategic thinking behind these decisions is clear and plausible. But it may be that – as is often the case – the strategists and spin doctors have been too short-term and cynical, too narrow, in their electoral calculations. In my view, the change of policy on the emissions trading scheme carries at least seven pragmatic costs, both electoral and in larger political terms. The first is that this reversal will be counter-productive internationally, damaging Australia’s future participation in international negotiations. Media pundits have been overwhelmingly focused on the domestic ramifications, as were Labor’s electoral strategists, but the international dimensions of the decision are considerable. Australia already had a deficit in this area because of the Howard government’s intemperate demands at Kyoto and its later renunciation of the entire agreement once the Bush administration came to power. Kevin Rudd signed Australia’s agreement to the Kyoto Protocol amid much fanfare and applause in Bali in late 2007, but it now appears that Australia is going to miss its protocol targets by a large amount. It will be easy to draw the conclusion that Australia signed on but didn’t take its obligations seriously. One of the sideshows at Copenhagen was a debate about whether Canada should be punished for missing its Kyoto targets, and a similar debate may well focus on Australia at future gatherings. 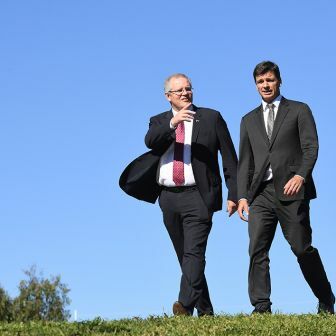 The Rudd government made an unconditional commitment to cut emissions by five per cent by 2020, rising to a possible 25 per cent if there were progress on a binding global agreement. That unconditional undertaking has now become retrospectively conditional. Australia is the first country to renege on its Copenhagen commitments; the government is using international inaction as one of its excuses, but its action adds to the difficulties of achieving international action. The second negative consequence concerns the medium-term capacity to frame a policy against global warming. There are several sides to pragmatism, and much political commentary (by Gerard Henderson and Paul Kelly before the decision, for instance) treats the political situation as if it exists in a vacuum. Spin doctors also tend to be focused on opinion polls, media coverage and political rhetoric rather than, for example, scientific evidence, and this often leads them into long-term difficulties. In 2003 – to give a US example – the pragmatic strategy for Hillary Clinton was to support the Iraq war, but this stance returned to haunt her in 2008 when she had to face Barack Obama, who had opposed the war from the beginning. The problem of global warming will not disappear because it is politically inconvenient, and future Australian governments are going to have to frame policies to address it – if not before the election then afterwards. The government’s actions last week have made it less likely that it will be able to negotiate from a position of strength or credibility when it is eventually forced to reach a policy. The third negative consequence relates to Labor’s decision to adopt what is probably a counter-productive attitude to the Greens, especially in the longer term. After the 2010 election, whether it is a normal half-Senate election or a double dissolution, a Labor plus Greens majority will probably prevail in the Senate. The swollen number of Coalition senators that followed their election success in 2004 will disappear, and almost certainly the Greens will be in an enhanced if not pivotal position. The government has refused to negotiate seriously with the Greens. As Rob Chalmers reported in Inside Story last week, “despite a number of requests since last July, [Rudd] won’t even meet with Senator Brown.” The government knew that the Greens alone could not deliver a Senate majority, and – focused on that central contest with the Coalition – did not want to be cast as the prisoner of the Greens, judging (probably correctly) that to some swinging voters the Greens are anathema. The government’s current overblown attempt to blame the Greens as well as the Coalition for its surrender rests on a single moment. Following Turnbull’s overthrow as leader, two Coalition senators were ready to break ranks; combined with the Greens, their vote could have delivered an emissions trading scheme. But the government had continually rebuffed Green suggestions before this. There is a central contradiction in Labor’s stance. While it seeks to deny the Greens’ legitimacy, the result is to elevate their credibility. Rudd’s retreat on the scheme will almost certainly increase the Greens’ vote. 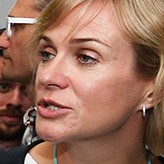 It is still unlikely that this will be sufficient to win any House seats, but two of the government’s most capable ministers, Lindsay Tanner and Tanya Plibersek, hold inner-city seats and will be most at risk. The fourth negative consequence is that the somersault will energise the Coalition and the government’s opponents more generally. They will be heartened by yet more evidence, the most spectacular so far, that this is a government prone to panic. The government’s surrender invites more determined opposition in future. They will learn the lesson that intransigence pays. The fifth negative consequence is the obverse. The interest groups inclined to support the government will now allow it less latitude. They will learn the lesson that if they are not vocal and demanding then the government will cave in to other loud voices. So their path to victory in policies they care about may be to raise the stakes and make reverses by the government more embarrassing. When its own natural constituencies do not trust it, they will be less quiescent, and this will make life less comfortable for the government. The sixth is that this reversal dramatically increased the credibility of damaging opposition narratives about the government. Spin doctors concentrate most immediately on what issues and stances are positive or negative, but each policy move needs to be seen not only in its own light but also in terms of the larger narratives it gives traction to. In particular this backdown strengthens the view that this is a government big on promises but hopeless at implementation. It cannot follow through; it messes up everything it touches. This is a generalised image of incompetence; once established in the public mind it can be triggered on whatever issue arises. 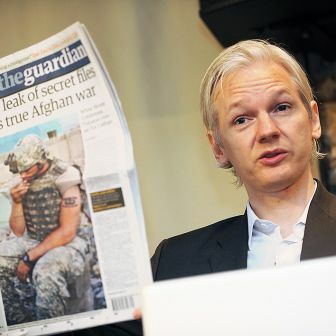 Moreover, by releasing all the bad news together the government risks creating the perception that it is out of control, creating, as Dennis Shanahan wrote in the Australian, “an air of confusion and defeat.” The government may think it is being ruthlessly efficient but it appears rattled and inept. The hope is that the damaging publicity will soon be eclipsed and forgotten as new and more positive developments occur, but the risk is that the impressions will become ingrained and difficult to erase. The seventh is that Rudd runs the risk of trashing his own brand. The other big opposition narrative is that Rudd is a leader with no core convictions, who will do and say anything to win – that he is not fair dinkum, as the no-doubt fair dinkum Tony Abbott says. The Howard government was ridiculed for distinguishing between core and non-core promises, but the climate-change reversal invites a question: is anything core for Rudd? By reversing itself after all its forceful and uncompromising rhetoric, the government makes itself look silly. In the last two weeks, the clock struck thirteen. A central rule of political spin is that when this happens it puts in doubt all that has gone before, and all that is still to come. This was a moment that enshrined the government’s credibility gap. Beyond agreement or not on particular policy stances, political spin is about establishing trust. The government’s narrative about itself has been damaged. Every promise should now be considered hollow until proved otherwise. Rodney Tiffen is Emeritus Professor of Government and International Relations at the University of Sydney. 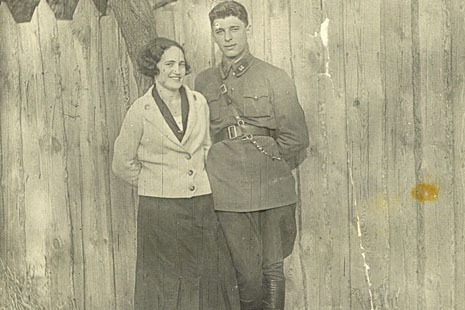 Above: Maria Tumarkin’s grandparents, Faina and Iosif, in Kiev in 1935.